President Obama is now blatantly breaking the law in an effort to ban one of the most popular types of ammunition for the AR-15 semi-automatic weapon, and the timing comes just before a massive amount of supply of the bullets is due to arrive in the U.S., according to Gun Owners of America Chief Counsel Michael Hammond. 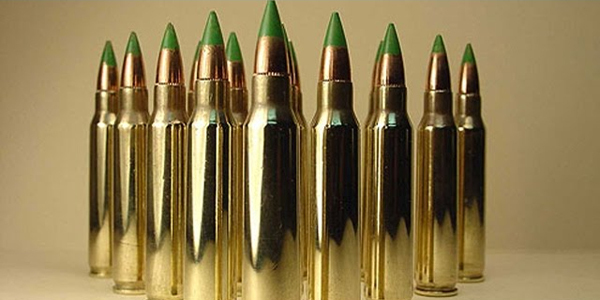 Last month, the Bureau of Alcohol, Tobacco, Firearms and Explosives, or ATF, announced it was planning to fast-track a ban on 5.56 mm M855 ammunition through executive action. Hammond said the timing is not a coincidence. Hammond said the revolt to this executive action is already underway. As WND reported, a lawsuit has been threatened by the Second Amendment Foundation. Hammond specifically cited Sens. Harry Reid, D-Nev.; Michael Bennet, D-Colo.; Joe Manchin, D-W.V. ; Heidi Heitkamp, D- N.D., and Jon Tester, D-Mon., as being inclined to buck the president on this issue. Another major fight centered on federal efforts to dry up the money supply for the gun industry. There are other challenges unfolding in addition to the effort to ban certain ammunition. Hammond said one of the biggest ongoing fights centers on Obamacare and efforts to gather information on gun owners. A description of the proposed rule change can be found . Guest: Sgt. Charlie Eippers, Author - "Jesus Christ on Killing"